Patricia Lewis Goodman is a widowed mother and grandmother and a graduate of Wells College with a degree in Biology and membership in Phi Beta Kappa. She spent her career raising, training and showing horses with her orthodontist husband, on their farm in Chadds Ford, Pennsylvania. She now lives on the banks of the Red Clay Creek in Delaware, where she enjoys birding, singing and spending time with her family. 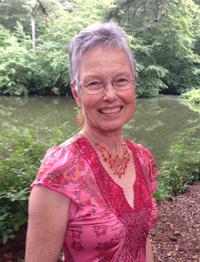 Many of her poems have been published in both print and online journals and anthologies and she is a regular reader at Second Saturday Poets in Wilmington. 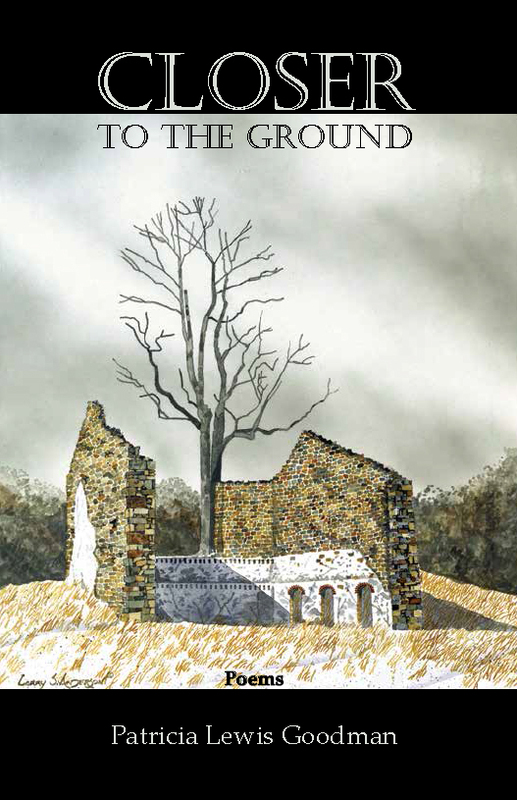 “Closer to the Ground” was a finalist in the Dogfish Head Brewery Poetry Contest. Patricia’s work is heavily influenced by the natural world she loves. This book of poems is an elegy: to a beloved husband and to the author’s life as it used to be. Pat Goodman gives us an intimate look into love and its loss, but the book is also one of celebration, of turning to the future. Closer to the Ground is a brave book, one of witness and one we all need to read. A husband and wife, hunting together, spend a long day tracking a bear through rough country. When, toward dusk, they find it treed, the arduous day and the act of hunting itself take unexpected turns; the hunt ends with more questions than it began. This book asks questions to which there are, inevitably, no answers. And while the questions themselves are unbearable, the poems that move through them and walk among them are conscious acts of survival. There is grace in the walking, grace in a survival that refuses to ask for anything as easy or comforting as answers and grace, certainly in the memory of an extraordinary marriage. The quietness with which Goodman speaks these memories makes them all the more vivid and aching. The discipline of paying attention to and embracing a world that is as wounding as it is lovely offers itself here not as lesson or advice, but as witness. 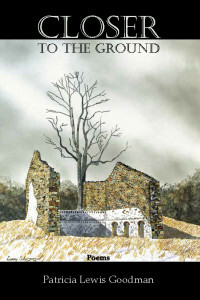 Closer to the Ground by Patricia Lewis Goodman is a stunning book of beautifully rendered poems. With a direct, clear voice, this poet writes the grief of a husband’s suicide—making the unspeakable spoken; making the unimaginable real. Goodman asks: “What is life? That flicker of electricity that/sparks a heart?” In strong, steady lines, we see the everyday brutality of farm life: “…Brambles crawled/over everything, until all that remained/were skulls buried in the tangle,//and me, picking ripe blackberries/along the verge.” With incredible courage, Goodman finds a glimpse of light: “In a few years the hillside healed—/gardens fragrant with clematis and roses,/the pasture below sweet with milkweed.” Buy this book. he said, one spring morning. a grasshopper, early morning light. The fawn was never mentioned again. and mounds of weeds and grass that blocked the flow. working as we have for fifty years. so we just did the work all by ourselves. young and vital, strong and in control. we may continue working when we’re gone. as if we’re having too much fun to go. but the children pull me away. I will wash off later in the stream. Will someone please wake me?